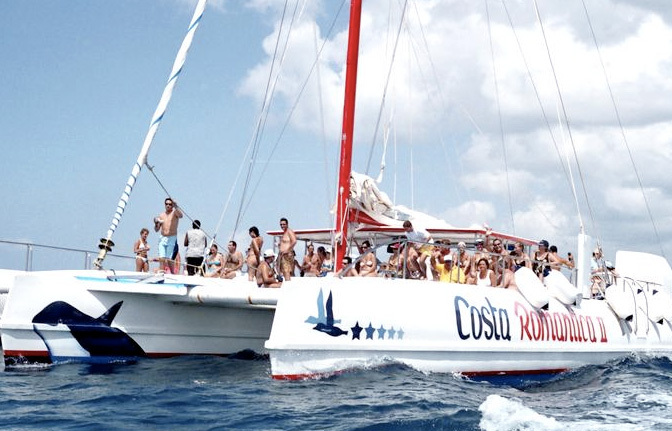 If you only take one excursion while stayin in Santo Domingo, Boca Chica or Juan Dolio make it this one. 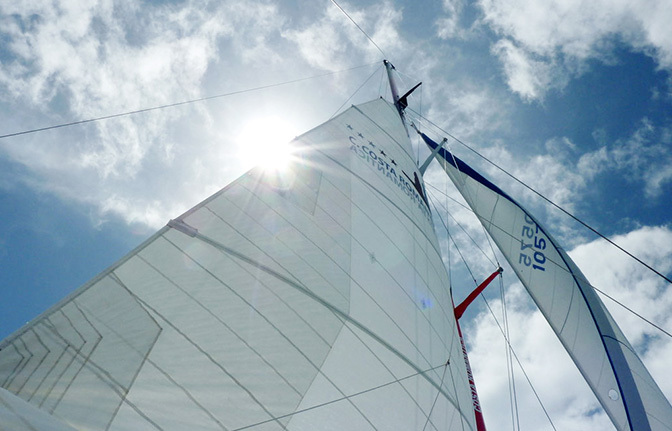 The blue Caribbean, music, sailing, palm trees, BBQ and a high speed boat ride back. It all makes for a heavenly experience. 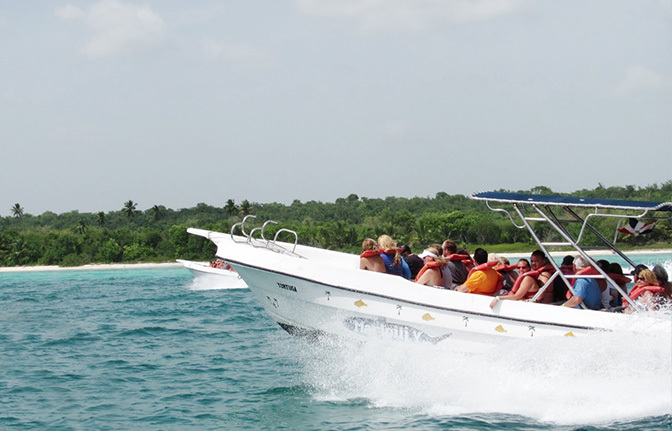 After a bus drive from your hotel to Bayahibe you board a large catamaran and cruise to the Saona Island. 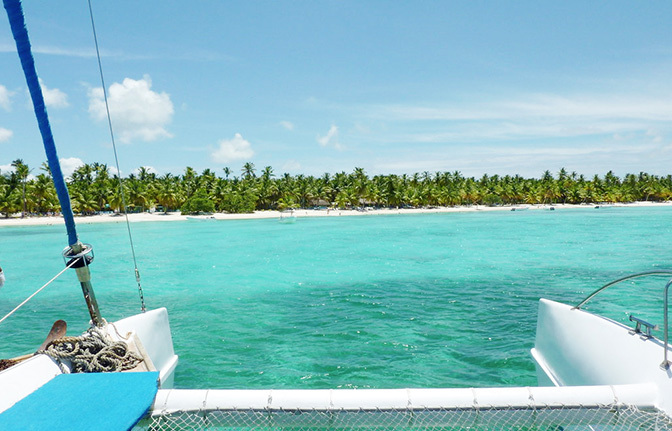 It is the largest offshore island of the Dominican Republic, located in the eastern region of the country. It is a government protected nature reserve which forms part of the National Park of the East. The Island is famous for the natural beauty of its beaches. It has been used on many occasions by film-­?makers and advertisers looking for a stereotypical "desert island" setting for their film or product. Loosen up on deck soaking up the sunshine while relaxing on the catamaran’s net. 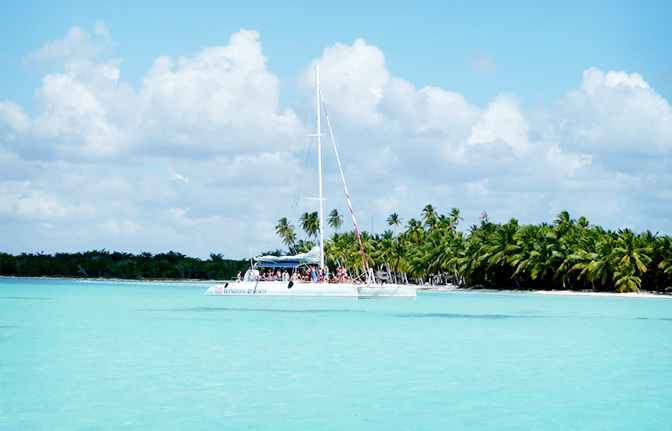 Once on Saona island float and relax in the endless shallow turquoise waters. Here you will experience perfection! Go for a swim or work on your tan, truly the most versatile of excursions! Be sure to indulge in our mouth watering barbecue lunch and refreshing cocktails. if you are lucky you’ll spot a starfish or two. You can also enjoy cool drinks while dreaming away in the shallow waters. 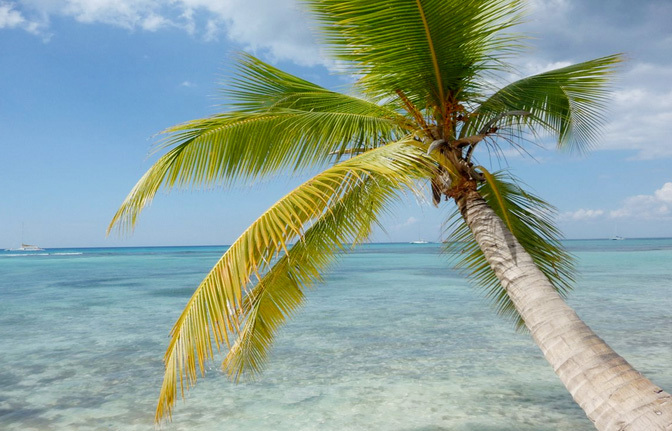 After arriving in Bayahibe we will take you back to your hotel. This tour is just awesome! 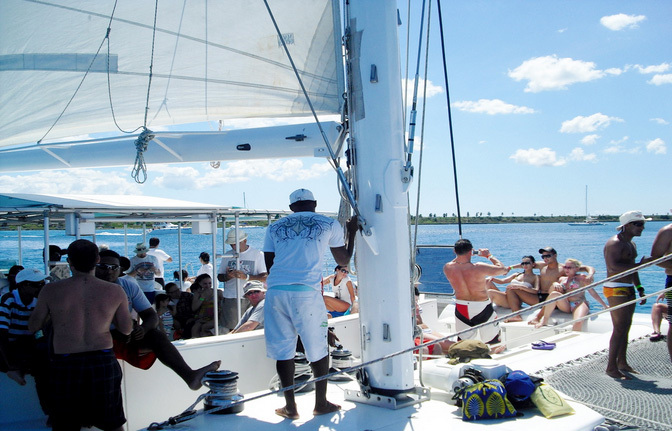 The catamaran ride to the Island was very enjoyable, full with dancing and drinks. The island itself was a paradise, the food was delicious. We even got to play with some starfish. The ride back was on a fast boat and was a lot of fun as well. The service was extraordinary! I recommend this tour to everyone. Such a beautiful island! We had lots of fun on our trip. We went to a natural pool and it was AMAZING. There we saw a bunch of starfishes and took pictures with them. Overall Our excursion to the Saona Island with Dominican Quest was great and i would definitely do it again!